$51.58 Ships within 24 hours. 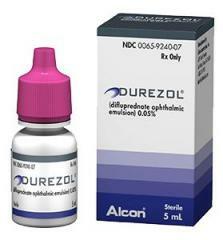 Flucanozole is the chemical name of the active ingredient in Diflucan®. Diflucan® is the registered trademark of Pfizer Inc.
Possible Uses of Diflucan: This medicine is an azole antifungal used to treat or prevent fungal infections. It may also be used to prevent infections after bone marrow transplant. Before using Diflucan: Some medicines or medical conditions may interact with this medicine. INFORM YOUR DOCTOR OR PHARMACIST of all prescription and over-the-counter medicine that you are taking. DO NOT TAKE THIS MEDICINE if you are also taking amphotericin B, astemizole, cisapride, pimozide, or terfenadine. ADDITIONAL MONITORING OF YOUR DOSE OR CONDITION may be needed if you are taking anticoagulants, buspirone, cyclosporine, tacrolimus, or medicine for seizures, anxiety, or sleep. Inform your doctor of any other medical conditions, allergies, pregnancy, or breast-feeding. Contact your doctor or pharmacist if you have any questions or concerns about taking this medicine. How to take Diflucan: Follow the directions for using this medicine provided by your doctor. STORE THIS MEDICINE at room temperature, away from heat and light. TO CLEAR UP YOUR INFECTION COMPLETELY, continue taking this medicine for the full course of treatment even if you feel better in a few days. Precautions When Using Diflucan: If your symptoms do not improve within a few days or if they become worse, check with your doctor. DO NOT TAKE SELDANE ( terfenadine), HISMANAL ( astemizole), or cisapride while taking this medicine. Keep all doctor and laboratory appointments while you are taking this medicine. BEFORE YOU BEGIN TAKING ANY NEW MEDICINE, either prescription or over-the-counter, check with your doctor or pharmacist. FOR WOMEN TAKING BIRTH CONTROL PILLS: this medicine may decrease the effectiveness of your birth control pills. To prevent pregnancy, use an additional form of birth control while you are taking this medicine. IF YOU PLAN ON BECOMING PREGNANT, discuss with your doctor the benefits and risks of using this medicine during pregnancy. THIS MEDICINE IS EXCRETED IN BREAST MILK. DO NOT BREAST-FEED while taking this medicine. Side Effects of Diflucan: SIDE EFFECTS, that may go away during treatment, include nausea, abdominal pain, or headache. If they continue or are bothersome, check with your doctor. CHECK WITH YOUR DOCTOR AS SOON AS POSSIBLE if you experience vomiting, diarrhea, or rash. If you notice other effects not listed above, contact your doctor, nurse, or pharmacist. Drug Interactions of Diflucan: Drug interactions can result in unwanted side effects or prevent a medicine from doing its job.Inform your doctor about all the medicines you take with and without a prescription. Storage of Diflucan: Store at room temperature away from sunlight and moisture. Keep this and all medications out of the reach of children. Other Information of Diflucan: DO NOT SHARE THIS MEDICINE with others for whom it was not prescribed. DO NOT USE THIS MEDICINE for other health conditions. KEEP THIS MEDICINE out of the reach of children. IF USING THIS MEDICINE FOR AN EXTENDED PERIOD OF TIME, obtain refills before your supply runs out.